Terra Fog applied on a blade patch in Lufkin, Texas. 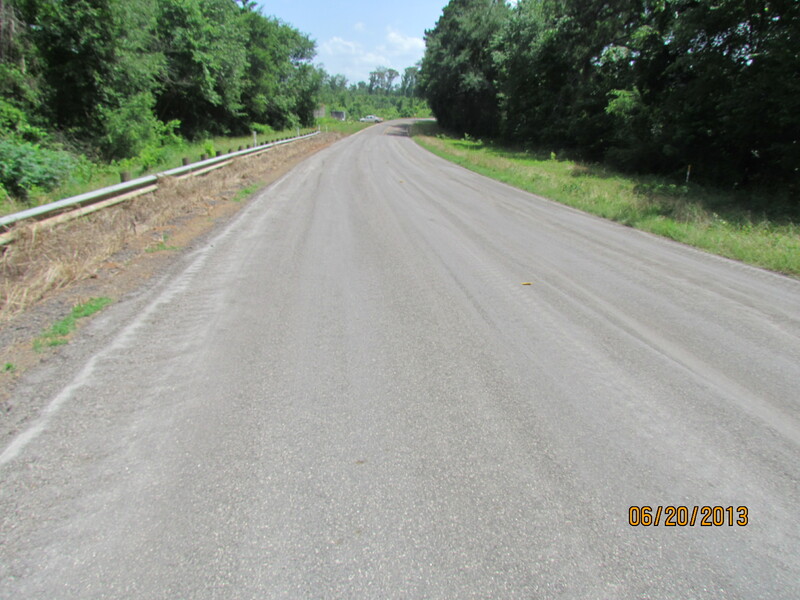 TPI installed about 70 gallons of Terra Fog on 500 feet of Limestone Rock Asphalt blade patches in the TxDOT Lufkin District. The level up material looked very dry and the Terra Fog penetrated the surface very well. 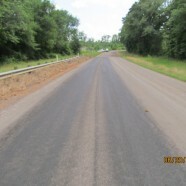 The surface was traffic-ready within 15 minutes. 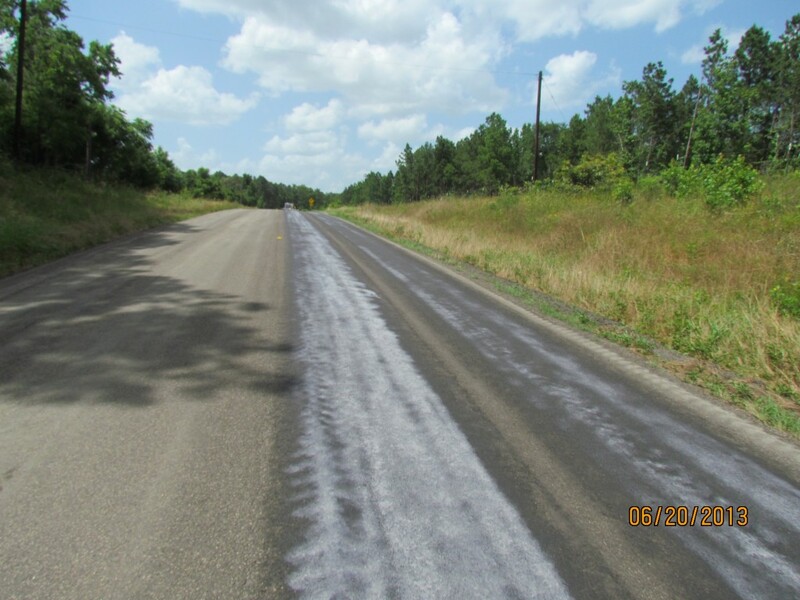 Fog sealing all patches with Terra Fog is extremely cost-effective, as it not only eliminates raveling and seals out water from the level up, but also it improves future seal coats by eliminating the seal coat asphalt from being drawn into the level up material.